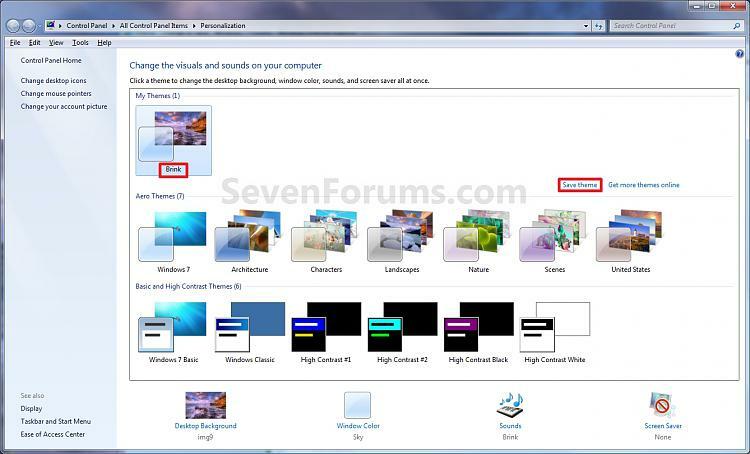 NOTE: If you have not already, then you will need to customize your current Windows 7 theme to how you want the theme pack to be saved as by changing the items you want listed below. 1. Change the Desktop Background picture and settings. 2. Change the Window Color and Appearance settings. 3. 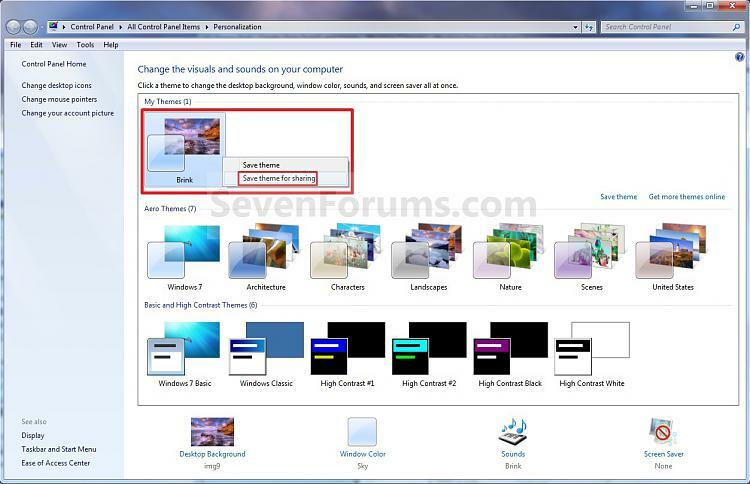 Change the Sounds for the Windows 7 sound events to any sound file that you would like instead. 4. Change the Screen Saver and settings to be used for this theme pack. 5. Change, add, or remove any Desktop Icons that you want to with. 6. Change the Mouse Pointers to use pointers of your choice. 8. Proceed to OPTION TWO below to save your customized theme as a theme pack. NOTE: This will save the current customized theme you have running now as a .themepack file with any name you like to any location that you select. NOTE: This will show you how to install a .themepack file so that it will become your current theme and be available to select in the Personaliztion window under My Themes. 1. Download and save a .themepack file of your choice to your desktop. NOTE: For example, the Example.themepack file used in OPTION TWO. 2. 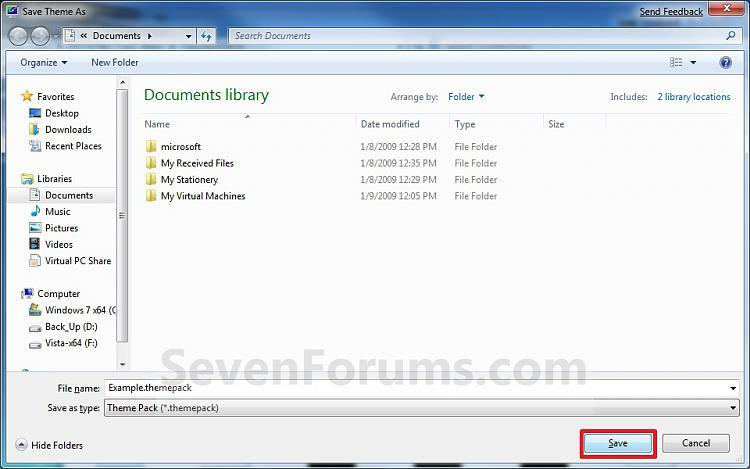 Double click on the .themepack file to install it on your computer. 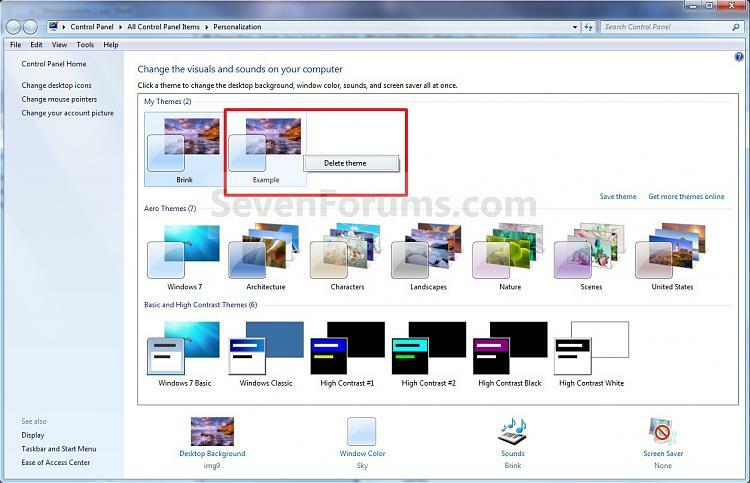 NOTE: This will show you how to delete a theme that you have installed to remove it from the My Themes section in the Personalization windows.